Gaz­ing out my office win­dow, I’m spell­bound by blaz­ing yel­low leaves that glow like the eyes of a Jack ‘o Lantern in the dark­ness of night. The air is crisp, with a deep, rich earthy scent. Fall is here, and I am hun­gry. Col­ors, I love the col­ors: golden yel­lows, cran­berry reds, burnt oranges. I also love the pump­kin recipes. Pre­heat oven to 350 degrees Faren­heit. Place mini muf­fin lin­ers in mini muf­fin tin or grease cups very well. In a large bowl, whisk together the pump­kin, sugar, veg­etable oil, eggs, spices, bak­ing soda, and salt. Then whisk in the flour until the bat­ter is just smooth. Divide bat­ter among the muf­fin cups, fill­ing each one just a bit more than 3/4 full. Sprin­kle the top of each mini muf­fin with a bit of Turbinado sugar and bake in a pre­heated oven for about 10 to 15 min­utes or until golden brown and a tooth­pick inserted in the mid­dle comes out clean. Place muf­fin tin on a wire rack for a few min­utes. 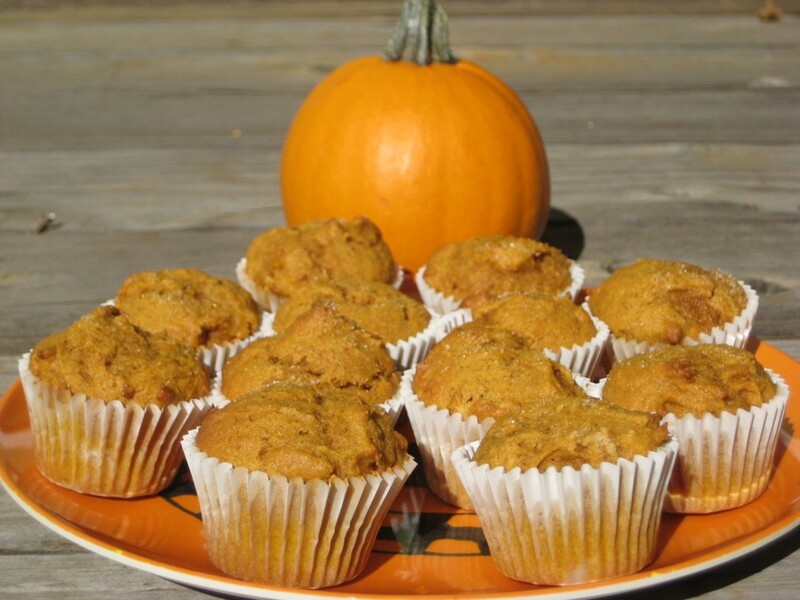 Once muffins are cool enough to han­dle, remove them from tin and place on wire rack to cool fully. 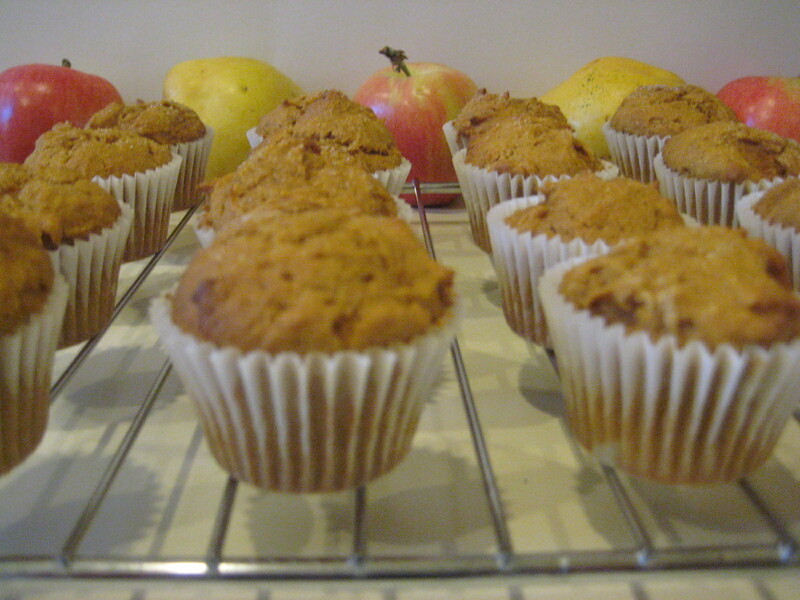 Store muffins in an air-tight container.